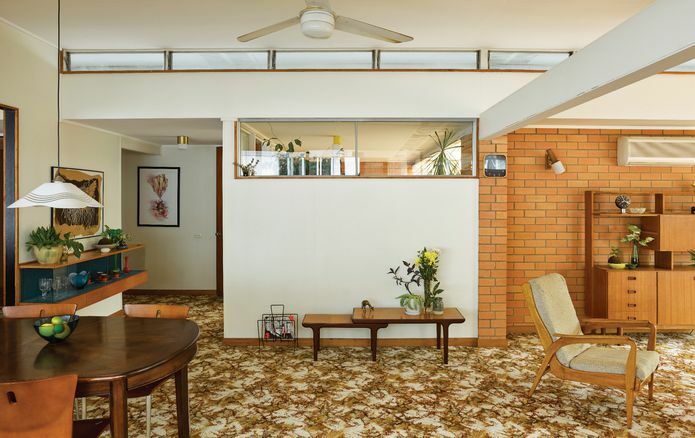 Balancing a sense of solidity with a contrasting spatial lightness, this 1960s house is indicative of the enduring relevance of architect Peter Heathwood. A feeling of spatial lightness pervades the experience of the house from within. 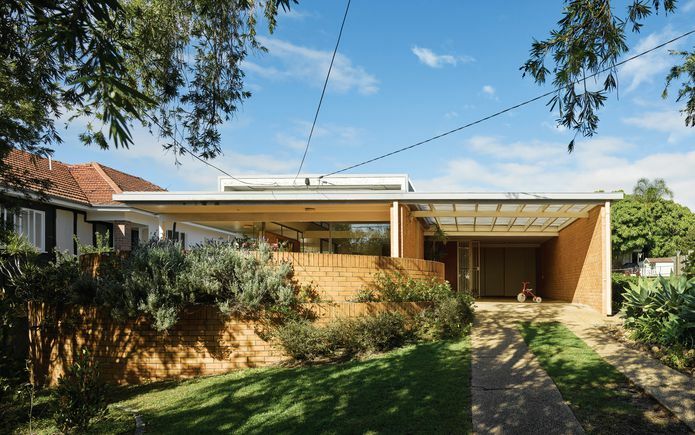 Enthusiasts of Brisbane architecture usually associate the work of Peter Heathwood with his seminal lightweight houses, whose elegant box-like forms were often wrapped in a sunshading veil. His standing was established by projects such as the competition-winning Plywood Exhibition House, which launched his practice with John Dalton in 1956, and the Speare House of 1959, whose demolition in the late nineties raised protests. Heathwood’s body of work also includes a collection of masonry houses, which are less well known. 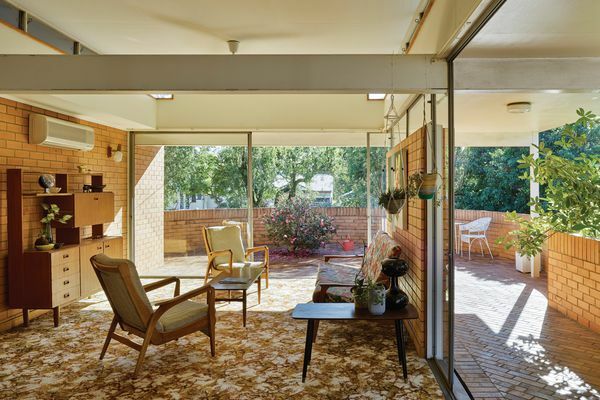 With a language of brickwork and circular geometries, the sensibilities of the architect’s approach were successfully realized in the Fulcher Residence of 1964. Heathwood trained locally from 1951 to 1956 and the post-WWII cultural setting influenced his outlook on architecture. 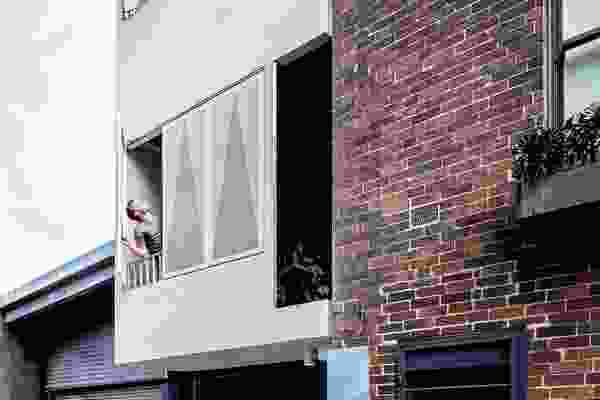 He was part of a cohort of eager young architects who reconsidered how architecture could be approached and what lifestyle a building could offer its occupants. A significant influence on Heathwood’s work were peers including John Dalton, Don Winsen, Robin Gibson, Ian Charlton, James Birrell and Neville Miller. 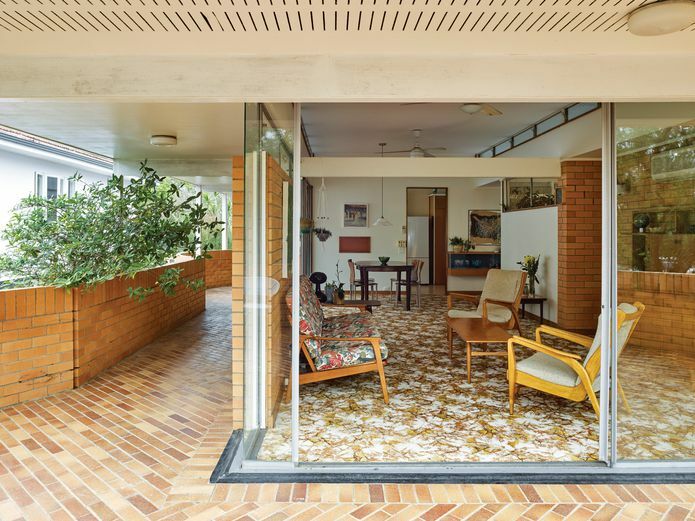 Architectural projects elsewhere that influenced him include the work of Kevin Borland in Melbourne, and the international work of Paul Rudolph, Ludwig Mies van der Rohe, Frank Lloyd Wright and Alvar Aalto. 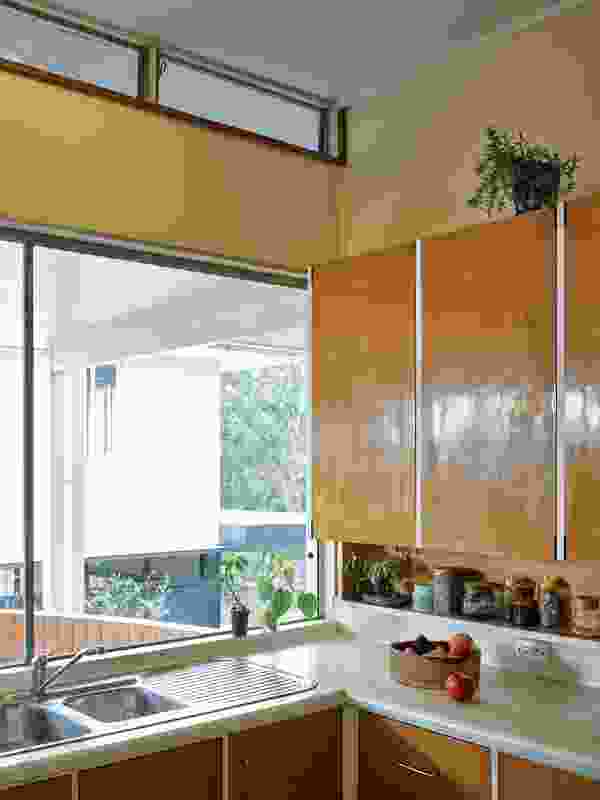 Heathwood’s notable experience prior to the formation of his own practice includes his contribution to the design of the garden block at Torbreck, Brisbane’s first highrise apartment complex. Circular brick walls provide a sense of permanence and solidity, while suggesting a house emerging from its site. 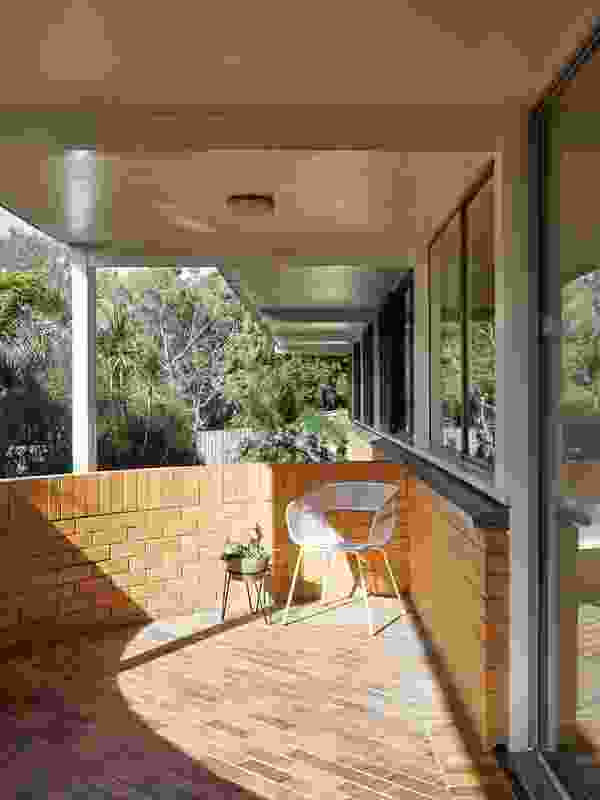 In 1963, Heathwood was approached to design a new dwelling within a hilly neighbourhood of Queenslander houses in the Brisbane suburb of Bardon. The client, Doug Fulcher, had provided electrical services on some of Heathwood’s projects. 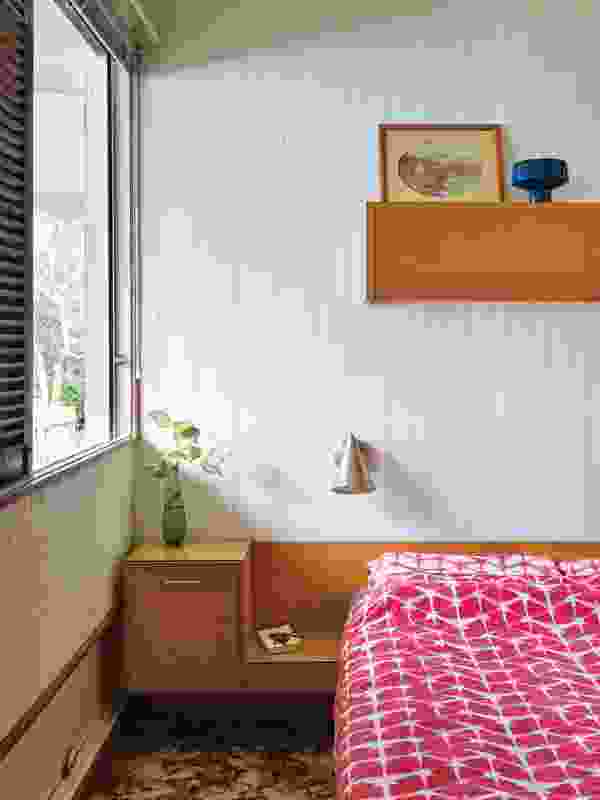 Doug’s requirements were unusually brief, requesting a dwelling with three beds, one car space, privacy from the street and a sense of permanence and solidity. Beyond that, the architect was extended a relatively free hand to explore themes that concerned him. Doug did not live in the house for long; however, his wife Thelma Fulcher remained at the property until she passed away and the house was sold in 2011. Thelma was not involved in the briefing discussions with Heathwood, but her occupation of the house is understood through the insights of architect Jen Negline, who lived opposite (email to the author, June 2017). 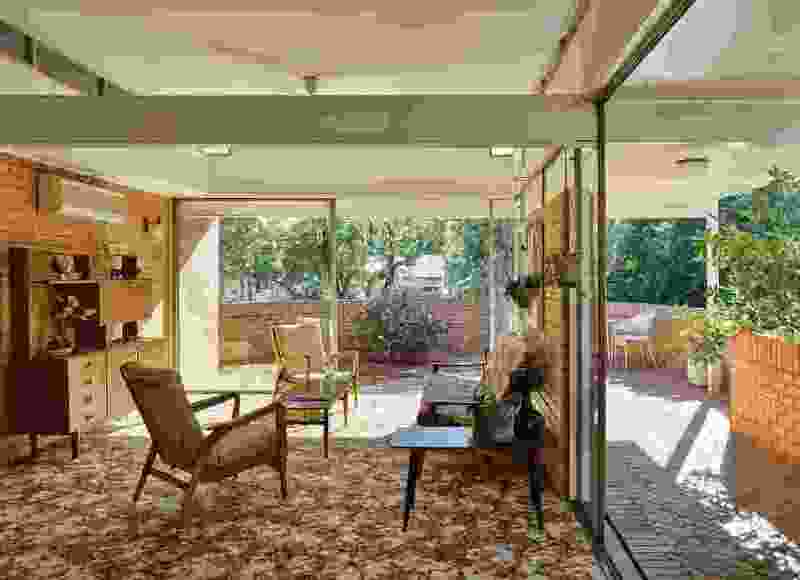 While the house had a well-maintained face for public presentation and a private and functional rear, the middle zone of the dwelling achieved a balance suited for casual occupation, traversing indoors and outdoors. 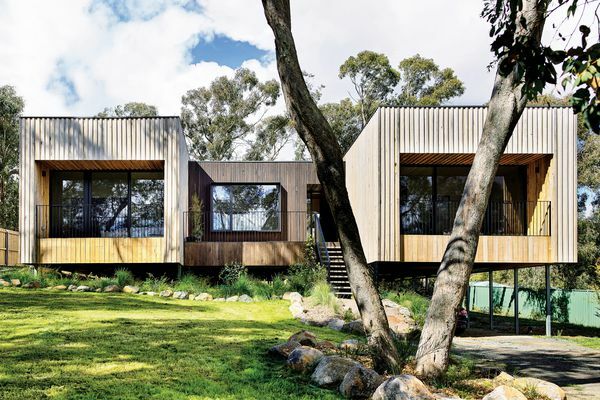 The planning and sectional arrangement of Heathwood’s design were a riposte to the bold Queensland sunlight and cooling breezes. 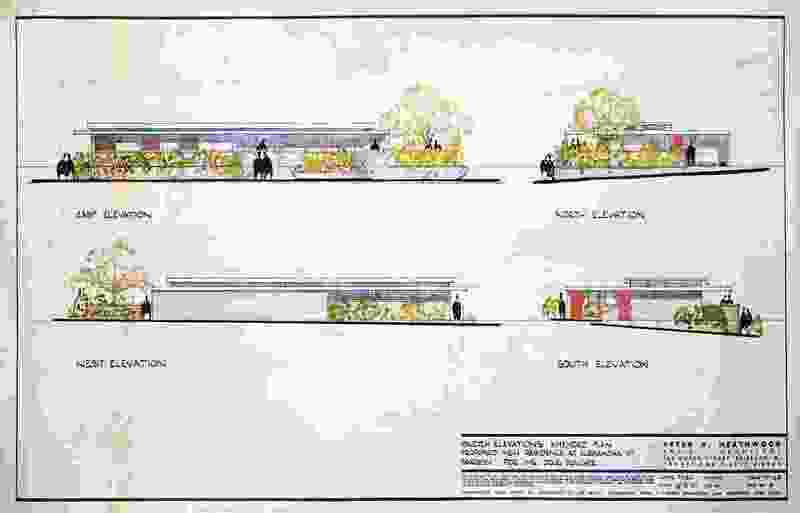 The architect used the Commonwealth Experimental Building Station reports to harness knowledge on climate-responsive design. A string of slender utility spaces to the west take the brunt of the harsh afternoon sun. The primary occupied spaces are positioned on the east, where bedrooms receive welcome morning sun, while the living suite enjoys the prime north-easterly aspect. Primary windows protected by wide overhangs and cleverly conceived clerestory windows let in an even wash of light. When asked about his favourite element of the house, Heathwood notes the quality of light. Queenslander houses were a precedent that interested him; however, the verandahs that shaded them potentially created dark rooms. The Fulcher House achieves illuminated interiors without heat and glare by combining two approaches to windows. The principal windows are protected by wide, verandah-like overhangs. Additional high-level windows consist of single-glass louvres running beneath the ceiling of a twelve-foot-wide zone centred within the building’s width, creating an unusually narrow distance between opposing sources of daylight. 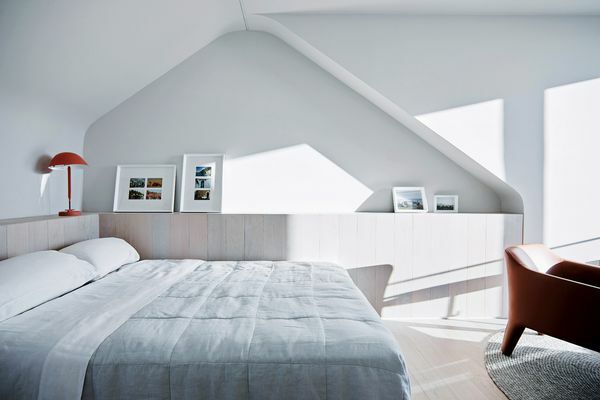 This taller space takes up the full width of the secondary bedrooms, and subdivides larger spaces like the kitchen and living room into zones of differing height. The upper-roof overhang incorporates a downturn and allows only reflected light to enter the clerestory windows, providing a memorable even wash of light to most rooms. Externally, the metal roofing wraps over the downturn of this upper roof to create a crisp-edged silhouette, contrasting with the curved heavyweight base of the house. The owner’s request for privacy from the street was managed through brick walls that extend into the front setback zone, a hybrid solution merging building wall and fence. With the wall’s upper and lower parts offset, the effect is unobtrusive from the street yet accommodates an unexpectedly open northern outlook from deep within the plan. These brickwork walls also address another client request – a sense of permanence and solidity. Their base creates a series of planters tracing intuitive circular arcs along the northern and eastern edges of the building. 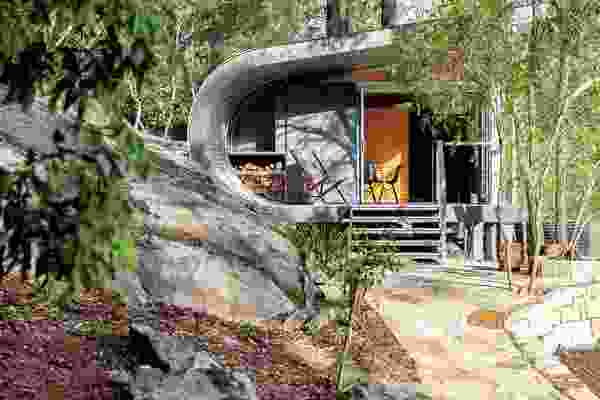 Aided by landscape architect Arne Fink’s irregular curves at ground level, the planters at the Fulcher House are mediators between architecture and landscape, suggesting a building emerging from its site. A freestanding brick wall and matching brick patio lend a sense of spatial enclosure to an otherwise open living room. The experience of the house from within reveals a contrasting characteristic. Rather than a sense of mass, a feeling of spatial lightness is evident. The glazing at the living area recedes to create a spatial enclosure formed by internal and external brick planes. These include a freestanding stack bond brick wall marking a place for occupation in the living room, and a matching brick-paved patio floor laid at forty-five degrees to the house structure. Spaces are also suggestively demarcated by columns beyond the wall line and by a rhythm of expressed roof beams. 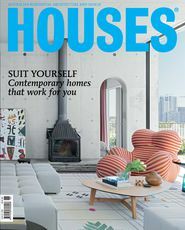 Heathwood’s techniques create an ephemeral spatial quality, reinforced by the characteristics of natural light within the house. Heathwood enjoyed exploring unconventional ways of making buildings at the detail scale, creating memorable qualities to be discovered through the remainder of the house. Doors to rooms and joinery incorporate contrasting coloured surround frames and handles in a palette of timber, either clear finished or painted black or white, creating dramatic highlights at moments where people interact with the architecture. 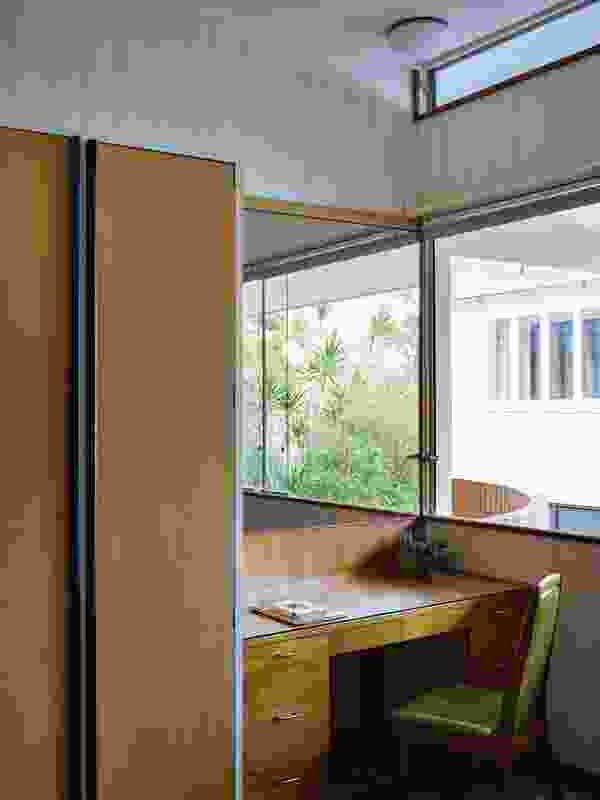 The architect’s ventilation strategy includes openings that can be enclosed with sliding panels of either sashless windows or louvred timber, allowing the occupants to cross-ventilate rooms securely when unattended. Faced with a limited availability of suitable light fittings, Heathwood crafted custom-fabricated acrylic tubes as glowing shrouds over basic batten holder fittings. Professor Gordon Holden, Foundation Head of Architecture at Griffith University and a former employee of Heathwood’s, has described Heathwood’s approach as “creatively searching for rational solutions.” The Fulcher House embodies a restrained clarity, in which nothing seems forced or contrived for spectacle. Peter Heathwood’s design illustrates a suite of thoroughly considered principles and inventive techniques that address the fundamentals of making a dwelling, indicative of the enduring relevance of his work within the canon of Queensland domestic architecture. The circular language of the brickwork seen at the front of the site continues along the house’s east side. Contrasting finishes used in the house’s joinery and doors create dramatic highlights. Sashless windows and a single-pane louvre allow for a variety of ventilation options. The primary occupied spaces are positioned to the east, where bedrooms receive welcome morning sun. Original contract drawings from September 1963 by Peter Heathwood. 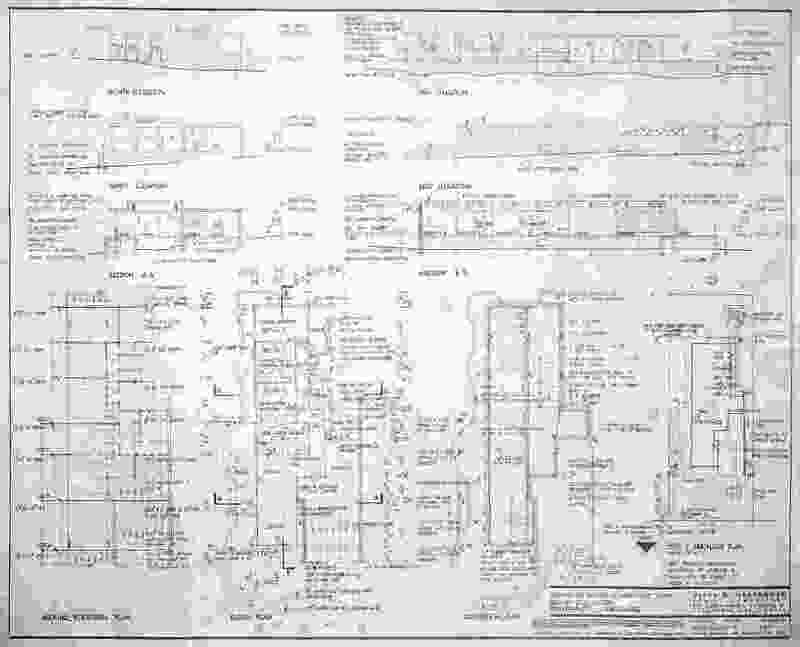 Original elevational drawings from July 1963 by Peter Heathwood.